For more than 50 years, Universal Plastic Mold has been a leading manufacturer of high tonnage custom and large part injection molding thanks to our one-stop facility. We want to provide a single, convenient source for your injection molding needs. Thanks to our diverse array of plastic injection molding equipment, our company can handle all of your plastic injection molding needs. We’ve mastered putting together a complete plastics manufacturing strategy, and our goal is to go far beyond making plastics. Universal Plastic Mold is proud to offer premier, full-service program management, convenient assembly, product distribution, and logistics services to streamline your manufacturing process and help you keep your company on track. Our comprehensive plastic injection molding services help our clients save money, reduce overhead, cut down on time to market, and increase their overall product quality. This is why we’re the injection mold manufacturer of choice for businesses across the United States. We are pleased to have the tools necessary to serve the needs of businesses of all sizes across a wide range of industries. Our mission has always been to help our customers produce as many quality products as possible for their needs in any shape or size. Learn more about what makes UPM a leader in plastic mold manufacturing and how you and your business can take advantage of our services today. When you choose UPM, your satisfaction is our top priority. We work around the clock to meet your needs. With over 300 employees and a full 24/7/365 operation, we have both the plastic injection molding capabilities and management experience to ensure your project is executed properly. 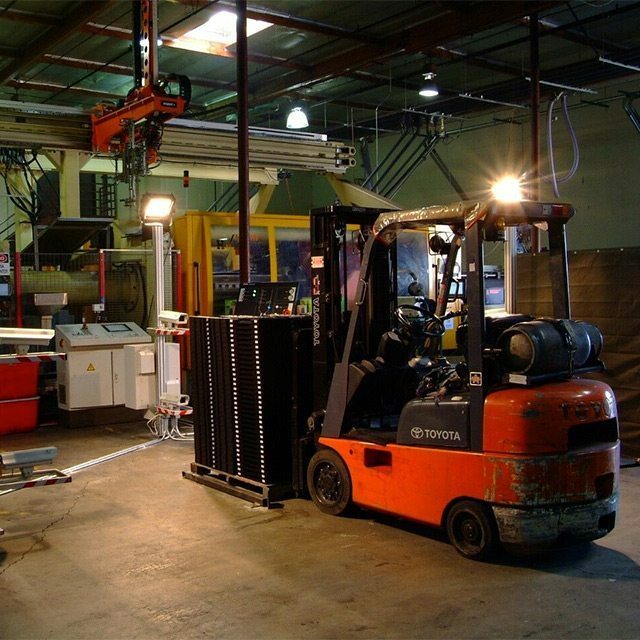 We are an all-in-one facility that can handle production, assembly, packaging, warehousing, direct shipping, and more. UPM is proud to deliver turnkey, worry-free results to customers nationwide. Plastic injection molding is a complex process that touches every facet of your life practically every day. Every time you drink from a water bottle, play with a toy or get in your car, you’re using something that was made through the process of plastic injection molding. 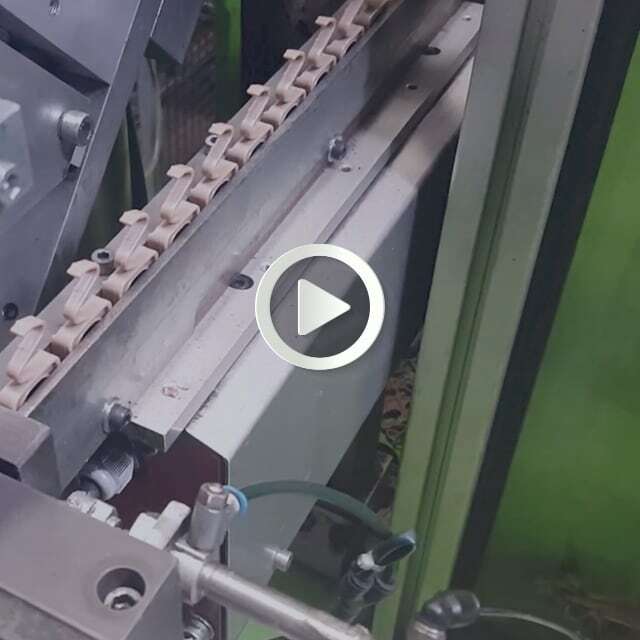 Universal Plastic Mold houses all kinds of machines ranging from 240 tons to 2,000 tons so that you can be confident we have the equipment you need for your plastic manufacturing requirements. Whether you need to manufacture plastic parts for your business or are looking to a create a prototype for an entirely new product, UPM is here to help you every step of the way. That’s why we’re a considered a leader among custom plastic molding companies across the nation. UPM goes above and beyond manufacturing for its clients. We also offer exhaustive logistics services to encompass all parts of the process for our clients, from creating new products through injection molds to custom injection mold tooling to shipping the products to waiting customers, we’re here to help you in any way we can. Our logistics services include both fulfillment and managed shipping. We don’t stop after your product is removed from the injection mold, we’re with you until your shipment is delivered. UPM provides on-site warehousing and shipping container loading and unloading, in addition to distribution center coordination to speed up your time to market and save you money. Our inventory control helps prevent you from being stuck with products you don’t need, which can unnecessarily inflate your overhead expenses. With UPM, you’re able to produce the exact quantities you need and are no longer forced to rely on unreliable forecasting and hope that you aren’t stuck with too much or not enough. Thanks to our fast turn-around times and exemplary customer service, we’re here to work closely with you to ensure that every project is a success. With our just-in-time (JIT) inventory strategies, you’re able to get exactly the amounts you need, when you need them to reduce in-process inventory and carrying costs while further improving your ROI. Discover more about how program management services from Universal Plastic Mold can improve the way that you do business. At Universal Plastic Mold, we are dedicated to being the best and providing the best for our customers. That’s why we always focus on getting better every day through our certified quality management system. UPM is ISO/TS 16949 compliant and ISO 9001:2015 certified. These certifications indicate a thorough set of requirements necessary for both automotive production and service part organizations. Thanks to these certifications, our customers can always rest assured that UPM will provide them with the absolute best in service and quality management. Our priority is to meet the quality requirements of our customers consistently. UPM thanks its employees, internal auditors, and stakeholders for all their hard work and continued support of quality management. Universal Plastic Mold has been certified by BSI to ISO 9001:2015 under certificate number FM 524875.